" Stop! " 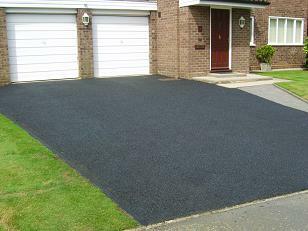 Don't go the expense of laying new tarmac. The benefit of the treatments offered by us for paved surfaces is obvious, but other surfaces also lose their original texture and colour. 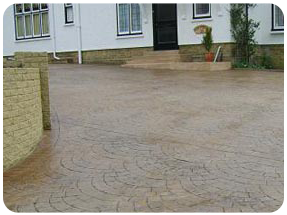 In the case of tarmac surfaces it is possible to not only just pressure wash these surfaces to clean them, but also to treat them with a restoring agent. 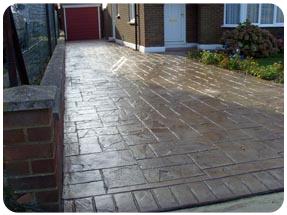 The dramatic difference is self evident as the material is being coated on the treated surface as in the image below. Further advantages to the tarmac sealer are listed below. Severely inhibit's weed, algae and moss growth as the coating is blended with a fungiside. Binds loose stones to the surface. 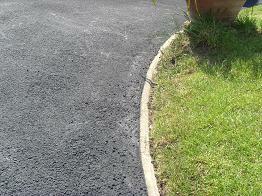 This vast improvement has been achieved without the expense of relaying fresh tarmac. Over time through wear and tear the tarmac surfaces can tend to break up a little. With our winter climate in the UK the freeze thaw cycle damages the binding agent, allowing the aggregate to break away and create small holes and craters, as in the image top left. In the picture sequence above right the defect has been repaired to ensure that an overall even surface is obtained. As you can see in the image to left the tarmac surface has been coated, and the repair cannot not be seen. 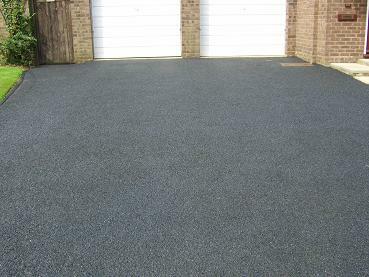 The following image is the completed project, beleive it or not the tarmac surface is 30 years old and looks as good as new. So dont panic before you even consider a new surface, we offer a free consultancy and quotation service it's easy to contact us we will meet you on site to offer our considered opinion on how to acheive your improvment goals and save ££££££££££'s against a new surface. After some time apart from becoming dirty, pattern imprinted concrete looses its shine. To restore the surface to its original quality it is possible to reseal the surface with an acrylic sealant. Depending on the degree of degradation the most appropriate sealant is selected from the range at our disposal and applied in a systematic way to produce a finish up to the original standard. 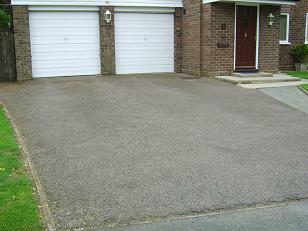 Some examples of cleaned and resealed driveways are shown in the pictures that follow.